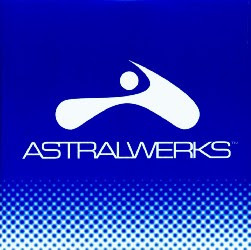 Astralwerks has always been a favorite label of mine, since they are fearless in pushing all kinds of electronic and down-tempo artists. Although hard to come by, their quarterly samplers are great for discovering new artists and hearing the latest from established acts like Fatboy Slim, Basement Jaxx, Phoenix and The Chemical Brothers. Here are a few faves from 2 samplers that I own, Summer 1998 and Fall 2002.